Dr. Dre and The Incredible Hulk. Snoop Dogg and Superman. Hip-hop and comics dominate pop culture and pack movie theaters, and two University of Oregon professors believe they also have a place in the classroom. Panelists include rapper Chali 2na; Eric Orr, who produced the first hip-hop comic book; Mix Master Mike, Beastie Boys member and four-time world champion DJ; Sloane Leong, comic creator, illustrator and animation artist; and Angelina Villalobos, painter, muralist and graffiti/street artist who goes by the pseudonym 179. It will be followed by a music performance featuring Mix Master Mike and Chali 2na and support from DJ Food Stamp, DJ Billy and DJ Patrick A. Reed at Level Up Arcade, 1290 Oak St.
Kajikawa, who teaches in the School of Music and Dance and serves as participating faculty in ethnic studies and core faculty in folklore, explores the relationship between rap and race. He has lectured at the Rock and Roll Hall of Fame in Cleveland and regularly presents at the Experience Music Project in Seattle. Saunders, founder of the UO’s Comics and Cartoon Studies minor, specializes in the literature of the English renaissance. He is also considered a comic studies savant whose fascination with superheroes can be traced back to his childhood in Wales. Reading Marvel comics, Saunders said, sparked his love affair with America, even if he couldn’t tell good from evil. “With a name like Spider-Man, I thought he must be bad,” Saunders said. The panel discussion will be from 2-4 p.m. in Room 156 Straub Hall. It will be followed by a performance from 6-9p.m. at Level Up Arcade, 1290 Oak St. in downtown Eugene. Both portions of the event are free, all-ages and open to the public. Illustrations by some of the most influential comics artists of the 20th century will be on display at the Schnitzer exhibit. The show runs through July 10. What do comics have to do with hip hop? LK: One thing about hip-hop aesthetics is that they tend to borrow from pre-existing materials, recombining them in new and exciting ways. For example, graffiti artists have borrowed from the world of comics. And rappers have sometimes compared themselves to superheroes (or super villains) in their songs. In a deeper sense, both comics and hip-hop have provided avenues for marginalized people to have a voice. They each provide a space for people to say things that might not be permissible in other ways. BS: In the end we are talking about two commercial art forms that for many years have occupied an underdog position in relation to traditional canonical ideas about what constitutes "true" art. Hip-hop artists weren't seen as musicians by many traditional rock fans, and comic book creators were not seen as real writers or artists by most people outside comic book fandom. How did you come to develop an academic interest in these subjects? LK: Hip-hop music is something that I’ve always listened to. I’m roughly as old as hip-hop, and I’ve grown up witnessing its evolution. It’s played a role in shaping how I see the world and it’s been the soundtrack to many important moments in my life. My academic interest in hip-hop, so to speak, comes from a desire to give something back to the music and culture, even if it’s just a small contribution. When I was working on my dissertation in musicology, I felt like the music that I knew the best and that I could say something about happened to be — in many cases, at least — hip-hop related. So I’ve sought to understand how ideas about race and racial inequality become audible in rap music. BS: I've always believed that popular culture is worthy of our best thinking, and that's what academic work should be: the best thinking we can devote to a subject. So, even when I was still a graduate student working on Renaissance literature, I organized one of the first major national academic conferences on popular music and later co-edited a collection of essays from Duke University Press based on the conference proceedings. My interest in music is lifelong — in fact almost all of my happiest early childhood memories are musical memories. And there have been a few times in my life when I heard a piece of pop music and it changed my sense of what was possible for the whole medium. David Bowie's “Scary Monsters” was one such record, for example. And Public Enemy’s “It Takes a Nation of Millions to Hold Us Back” was another. What do comics and hip-hop bring to the university classroom? LK: They give students an entry point into some of the most profound historical, social and spiritual questions that we as a society are grappling with. And they do so in a way that is engaging and feels authentic to students because they have firsthand experience with them as consumers and, sometimes, producers. BS: Comics can be taught in an amazing variety of ways. You can approach them from a formalist perspective as a unique hybrid mode that combines visual and verbal systems of representation. You can treat them as a cultural resource to explore complex historical and political issues with powerful emblematic immediacy. You can look at many comics traditions as a kind of journalism (the editorial cartoon is as old as the Fourth Estate itself — perhaps older if we include traditions of graphic satire that go back to the 16th century). But many comics are also art objects of considerable aesthetic power, graphic narratives worthy of analysis in the manner of major literary texts and forms of intellectual property whose ownership is subject to fierce legal contestation and protection. It is also possible to teach the art of creating comics as a vocational practice. We have the great Jan Eliot doing this for us right now in her Creating Comics ENG 410 class. Comics studies is therefore fundamentally interdisciplinary, with roots in art, art history, arts education, communication and media studies, language studies, and literary and cultural studies, and with implications for both business and legal studies. 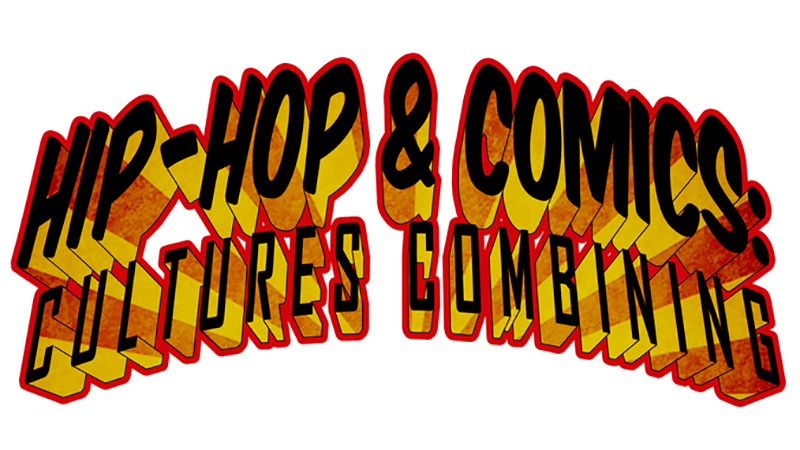 How did “Hip-Hop And Comics: Cultures Combining” come together, and who will be there? LK: Ben Saunders and I have been talking for years about collaborating on something — a class, a conference, a publication. And then he had the idea for this event based on seeing Patrick A. Reed (pop culture journalist and DJ) do something similar a couple of years back. He got in touch with Patrick about doing something here at the UO and then brought me into the loop. The newly formed hip-hop ensemble in the UO School of Music and Dance has been working on a cover version of one of Chali 2na’s songs, so when I found out that Patrick was speaking with him about being one of the panelists and performers for this event, I suggested that Chali 2na work with students in the hip-hop ensemble and give a master class. That’s going to happen the day before the event and it’s going to be a special experience for the students involved. BS: I had a feeling it would make a good college scholars event, one that students would actually really want to attend. Loren, Patrick and our co-conspirator Andre Sirois (who teaches in cinema studies but may be better known around town as DJ Food Stamp) were all on the same page about wanting to make this happen, and Patrick was able to connect us with some very significant and talented figures, all of whom bring something different to the table. Loren Kajikawa and Ben Saunders are Oregon experts. Learn more about UO experts on the Media Relations website.